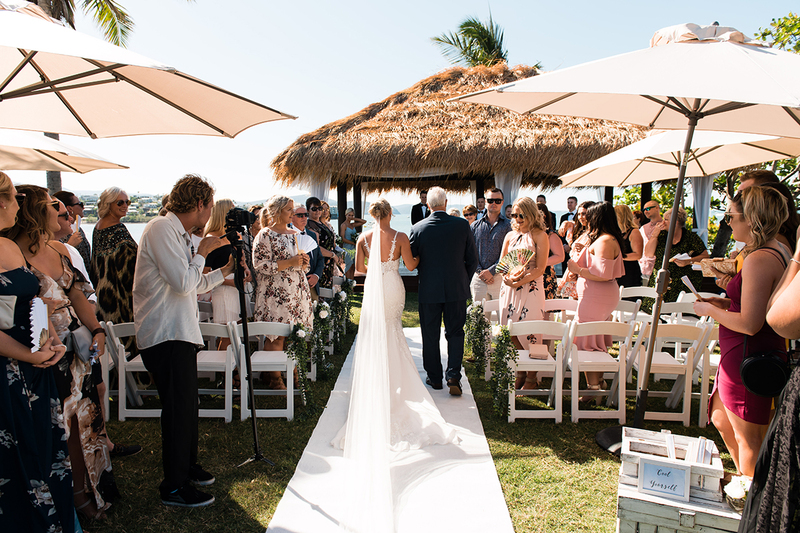 In the heart of Airlie Beach, the Whitsunday Pavilion is a picture-perfect wedding venue which features a magical outlook of the beautiful Whitsunday waters. With the gorgeous ocean-view as a backdrop and open tropical setting, the venue is perfect for all weddings, whether relaxed or formal, large or imitate. The venue offers the whole package, with an indoor/outdoor seaside reception space. The large area can accommodate 20 to 120 guests, from a stand-up setting, right through to a sit-down reception. We will take care of catering on your special day with many delectable options and courses to choose from.